Unfortunately for Vodafone the cat's out of the bag ahead of Apple's iPhone 5 announcement this evening - this post seems to confirm that Apple will have the iPhone 5 on the shelves in a matter of days. The nano-SIM is 40 per cent smaller than the micro-SIM currently used in the likes of the iPhone 4S, Samsung Galaxy SIII and the Nokia Lumia 900. 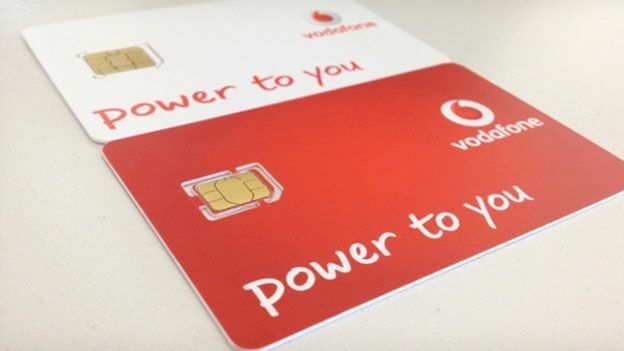 The tiny new card only measures 12.3mm x 8.8mm and according to Vodafone, is "so slim and tiny you might only be able to handle them with tweezers". Like the micro-SIM, we can expect nano-SIMs to become the new standard as smartphone manufacturers look to save valuable space inside their handsets. Word is that Apple has plenty of changes in store for the look of the new iPhone and thankfully, we don't have long to wait to see what the Cupertino company has in store. T3 will be reporting live on Apple's announcement tonight so make sure you stick with us for all the shiny new iPhone goodness. Update: Watch our hands-on video with the iPhone 5 below. Enter your email below to receive alerts about exclusive deals as soon as the Apple iPhone 5 becomes available.